Sony continues to expand the PlayStation Now library, with 21 new games joining the streaming service this week. Among the new additions you can find the PS3 versions of Quantic Dream’s Heavy Rain and Beyond, and Naughty Dog’s The Last of Us: Left Behind stand-along title. The new additions mean that over 250 titles are now available on PlayStation Now. The full list of new titles is included below. Sony is continuing to expand the PlayStation Now library, adding a further 22 new titles this week. You can now play over 180 games on the cloud gaming service, including new additions like Uncharted 2: Among Thieves and Uncharted 3: Drake’s Deception, all for as little as £12.99 a month. 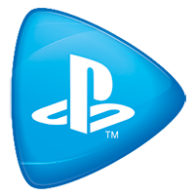 Sony has updated PlayStation Now in Europe, adding 23 new PS3 games to the service. New games include both Borderlands games, Resident Evil Chronicles, the first two BioShock games and lots more. In addition, Sony has listed the 11 new games that will be joining the service in February, which includes Batman and Lego games. Sony has revealed that PS4 gamers have shared more than 800,000 gameplay broadcasts, and over 7.1 million spectate sessions via Twitch and UStream. In total, that adds up to more than 20 million minutes of live gameplay across the globe. According to UStream, the average broadcast was 31 minutes long, while Twitch reports that 10% of all content on the platform since 15th November has come from the PS4. 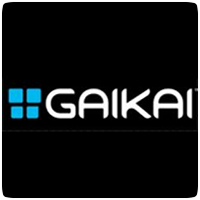 There hasn’t been much news about Gaikai recently, with the last mention of the streaming service back at E3. Sony previously announced that Gaikai would power a full-game streaming service on the PS4, allowing gamers to play PS3 titles via the Internet. According to inside sources, the streaming service won’t be launching in Europe until 2015, but will be available in North America in 2014.